You have questions, we have answers. Everything you need to know about Modern Fiance Chain in one source. For more information visit our website and review our One Pager. You can read our whitepaper here. When is the ICO / token sale? What is the max supply of MFX? How many MFX tokens will be available during the ICO? 301,000,000 MFX tokens will be sold during all ICO stages. This is our maximum circulating supply. How many MFX tokens will be kept for team and organization? Only 8% of total MFX Tokens are being kept for Devs and Advisors. 73% of all MFX tokens are being allocated to ICO and MFX Rewards pool. MF Chain strongly believes in a responsible, transparent token allocation that places the community first. Is there a presale, and does it include a discount? MF Chain will be holding a presale beginning on April 15th, 2018. During the pre-sale, the minimum contribution is 5 ETH with a maximum contribution of 200 ETH. Conversion rate is 1 ETH = 10,150 MFX tokens. Crowdsale (main ICO) conversion rate is 1 ETH = 8,500 MFC tokens with a minimum contribution of 0.1 ETH, maximum remains the same. Will there be discounts offered during the main crowdsale? MF Chain is offering bonuses for large contributors only. We feel it only fair that everyone have the same opportunity to own an equal amount of tokens regardless of when you join the ICO. We also want to reward those that believe in our project enough to send large contributions. Yes, you can register for the whitelist from March 30 — April 30. MF Chain’s live token generation event is run entirely by smart contract with predetermined exchange rates and whitelisted wallet addresses. Only wallet addresses on the whitelist can participate. Transactions from wallet addresses not on the whitelist will fail and will cost you gas in the form of a transaction fee. In order to be placed on the whitelist, all participants must pass our KYC process. Is there a Know Your Customer (KYC) or Anti-Money Laundering (AML) check for the token sale? Yes, MF Chain has partnered with Identity Mind for our KYC/AML process. All submitted information will be reviewed on OFAC, PEP, PSFI, EU and freeze lists to name a few. What documents am I required to submit for your KYC/AML? Participants are required to submit a government issued ID. Passport, Driver’s License or Government ID. Are there any restrictions on who can participate in the token sale? What forms of payment are accepted in the ICO? You can buy MFX token in ETH only. Can I send you ETH from my wallet address from an exchange? No. Doing so will result in loss of your ETH. When you send ETH from an exchange wallet, the wallet address provided is not owned by you, as a result you will not have access to the MFX tokens sent from MF Chain. You can download a free ETH wallet from https://www.myetherwallet.com/ if you do not already have one. If I am approved for the whitelist before the ICO, am I guaranteed a token allocation? No. The contribution amount listed on your KYC submission does not reserve a token allocation for you. Tokens are sold on a first come, first served basis. You may send any amount between 0.1 and 200ETH as long as there are enough tokens left in the ICO round you are participating in. ​​What​​ happens if the​​ hard cap amount ​​is​​ not​​ achieved? Any unsold tokens will be burnt at the end of the ICO with no change to the conversion of ETH to MFX tokens. Yes, MFX token is on the Ethereum network and ERC20 compliant. How do I confirm my contribution was received? You can check your transaction on any ethereum blockchain scanner such as: https://etherscan.io/ Simply enter your wallet address in the search bar to view your transactions and token allocation. How will I be notified when tokens are distributed? MF Chain is holding a live token generation event run completely through smart contact. That means that shortly after contributing, you will receive your MFX Tokens in your ETH wallet address provided to us. No waiting until the end of the ICO to receive your tokens! I only have fiat. What’s the best way to purchase MFX? Is there an airdrop, and how many MFX tokens will be distributed? Is there a bounty campaign? Yes! We will update this blog with a link to the official ANN thread once it is launched! Is the MF Chain Smart Contract Open Source? 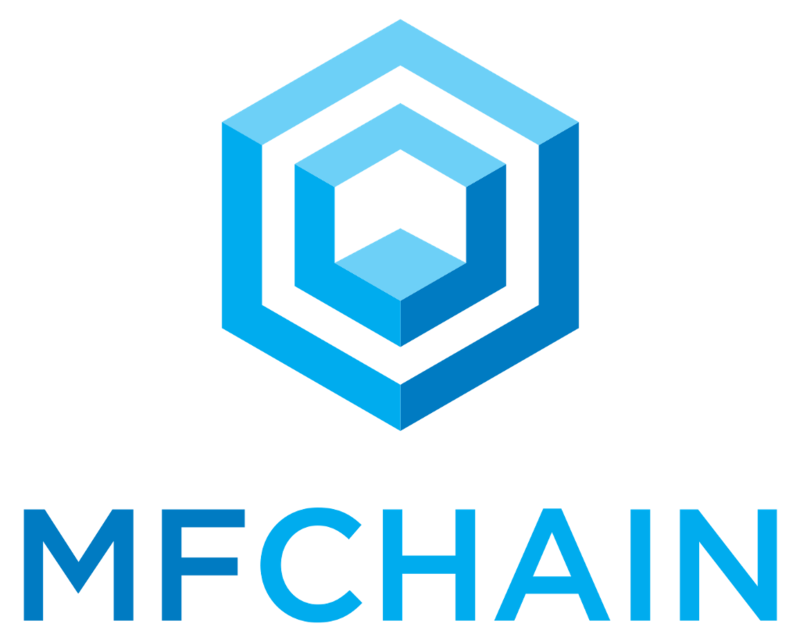 Yes, MF Chain is an open-source project and our code can be found at https://github.com/mfchain. What exchanges will the MFX tokens be listed on? We have a clear roadmap and plan for exchange listing. Any finalized partnerships will be announced. We cannot and will not disclose which exchanges these may or may not be. What decimal will the MFX token go to? The decimal will go to 8 places. What is the MF Mainnet? The MF Mainnet is the greater vision of MF Chain. With a suite of solutions, the MF Mainnet is designed to connect users, merchants and the entire crypto-community on a blockchain that embraces all technology. The MF Mainnet will be a hybrid dBFT/POS consensus method. More can be learned by reading our whitepaper at https://mfchain.org/wp/. When will the MF Mainnet launch? Currently scheduled for launch in Q2 2019, the MF Mainnet will be a unique public blockchain platform. Coinciding with the launch of the MF Mainnet, there will be a live token exchange event with MFX tokens converting to MFM tokens on a 1:1 ratio. MFF tokens will also be introduced to the market. The MFF token (Modern Finance Fuel) will be the token for all transactions and replace the MFX tokens in the MF Chain rewards program. What is your opinion on Modern Finance Chain FAQ’s ?